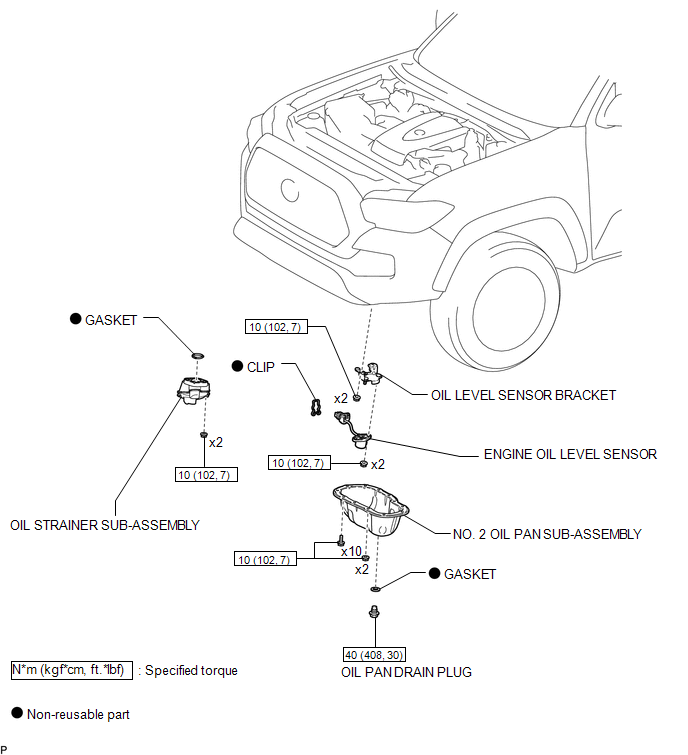 If the result is not as specified, replace the engine oil level sensor. 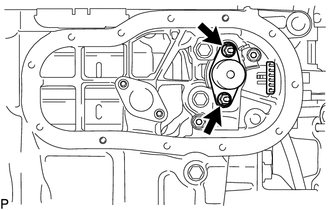 (a) Apply a light coat of engine oil to the O-ring of the engine oil level sensor. 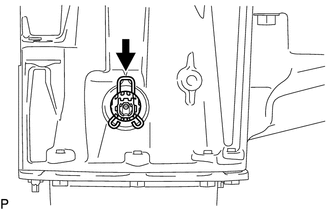 (b) Install a new clip to the engine oil level sensor as shown in the illustration. 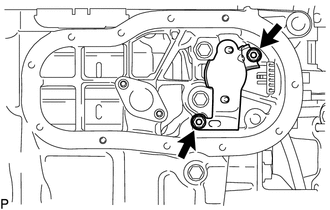 (c) Install the oil level sensor bracket with the 2 nuts. (d) Install the engine oil level sensor with the 2 nuts. (e) Engage the clamp and disconnect the engine oil level sensor connector. 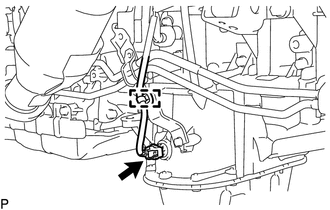 (a) Disengage the clamp and disconnect the engine oil level sensor connector. 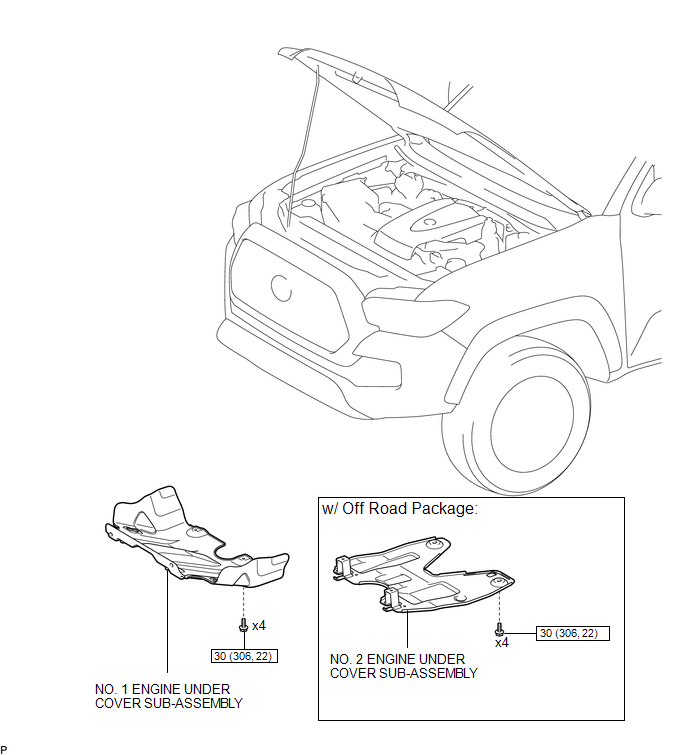 (b) Remove the clip from the engine oil level sensor. 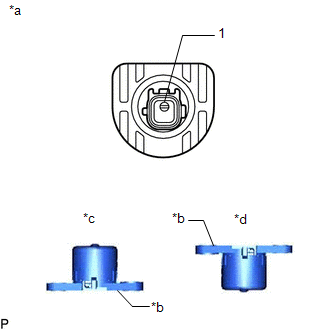 (c) Remove the 2 nuts from the engine oil level sensor. (d) Remove the 2 nuts and oil level sensor bracket. (e) Remove the engine oil level sensor.